The Bonneville Speedmaster is the latest addition to the Triumph’s Bonneville lineup of motorcycles. It‘s got the name Speedmaster which is a series of factory custom bikes based on Bonneville bikes. It gives the perfect essence of the laid-back attitude of British custom bikes with comfortable riding capability. The 2018 Bonneville Speedmaster gives a characteristic and relaxed riding experience. Triumph Motorcycles Ltd is the largest British motorcycle manufacturer established in 1983. John Bloor is the founder of the Triumph Motorcycles Ltd and has been manufacturing motorcycles after the original company triumph Engineering Co Ltd went into receivership. John Bloor bought the trading name from the buyer and built the new company, which became a major player in the motorcycle industry of the world. 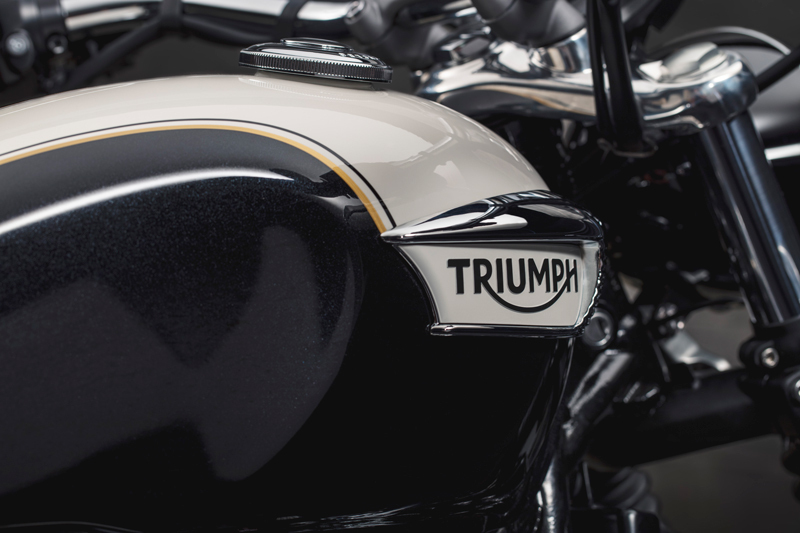 The motorcycles under the Triumph name have been continually in production since 1902, which makes it the oldest motorcycle brand. Triumph has a glorious history and ever beautiful future as they haven’t forgotten the essence of providing a quality product to the customers. The Bonneville Speedmaster also keeps the legacy of triumph intact with the latest products. It shares many features with the Bobber, especially in Bonneville engine and looks. The 2018 Speedmaster is powered by a 1200cc liquid cooled, 8-valve twin cylinder HT engine. The twin cylinders are adjusted at an angle of 270 degrees offering responsive performance with 10% more torque than the Bonneville T120. It produces a torque of 106 Newton-meter at 4500 RPM. The Bonneville 1200 HT engine delivers more power than the Bonneville T120 used in 2015 Triumph Speedmaster. All the power is delivered with the help of a 6-speed gearbox. The new Triumph Bonneville Speedmaster is not superior in terms of power from the earlier Speedmaster, but when it comes to rider’s comfort, it’s the best you can get. It has a twin seat setup and low rider seat height at just 710mm. The seats are made of high-quality deep form to ensure comfort. In terms of braking, it inspires confidence in the rider with high specification brakes and ABS. In the front, there are twin 310mm disc brakes and the rear is fitted with a 255mm disc. The front disc has a twin piston Brembo floating calipers and the rear has a single piston Nissin floating calipers. The braking system is designed to provide the maximum braking. It also has a 41mm cartridge front fork with the 90mm front wheel and mono shock rear suspension with the 73mm rear wheel. The Bonneville Speedmaster doesn’t get left behind in the technology aspect as it has a ride by wire system to provide a better and enhanced throttle control. The front features a 5-inch full LED multi-function headlamp with main and dipped beams. It also has the Triumph’s signature daytime running lamp. It also has a rear LED lamp, indicators and number plates light are also LED. This move has been taken to improve the power efficiency and durability. Moreover, it comes with a stylish LCD multi-function display menu that is easily accessible through fingertip controls. As a custom cruiser, it won’t be fun if you don’t get customizing options. You can choose from 130 accessory parts from the windscreen to leather saddlebags.The Bonneville Speedmaster 2018 is a much-anticipated bike from Triumph that will take the road in 2018.